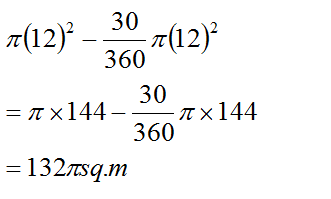 Welcome to this post on CAT Mensuration questions and answers. Understanding these questions is a bit of a task and needs lot of practice. In this area, you can find questions related to embedded areas, concatenated boundaries and concentric figures. Understanding of shapes and measures is a must if you want to attempt these. 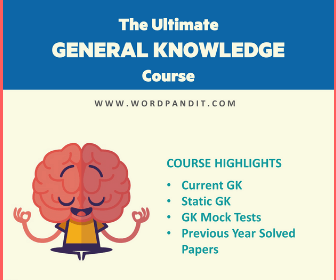 In fact, once you have a grasp over these different types of shapes, you will be able to comfortably solve questions from this area. A cow is tethered at point A by a rope. 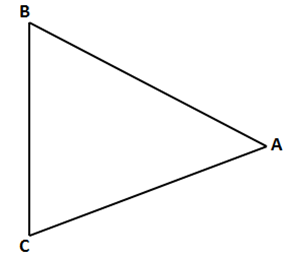 Neither the rope nor the cow is allowed to enter the triangle ABC Angle BAC = 30· Also AB =AC =10m. Question 1: What is the area that can be grazed by the cow if the length of the rope is 8 m? Question 2: What is the area that can be grazed by the cow if the length of the rope is 12 m? 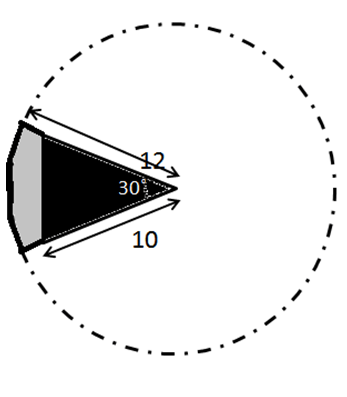 Question 3: The figure below shows two concentric circles with centre O. PQRS is a square inscribed in the outer circle. It also circumscribes the inner circle, touching it at point B, C, D and A. 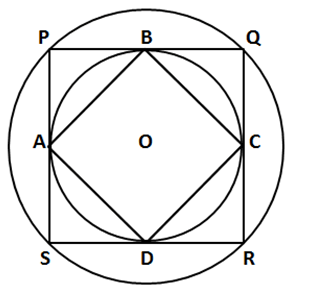 What is the ratio of the perimeter of the outer circle to that of polygon ABCD? Let r be the radius of the inner circle. 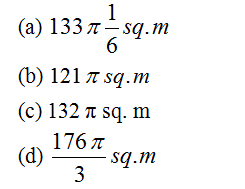 A, B, C and D are points on its circumference where the sides of the square PQRS touch it imply that the sides are tangent to the circle. 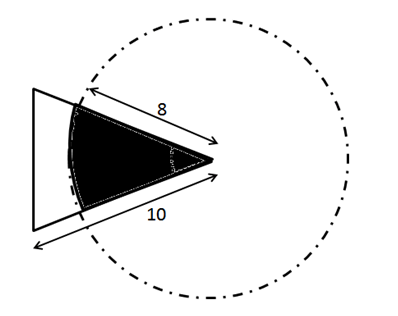 The radius and tangent are perpendicular at the point of contact. Thus if we join the radius OB and OC then OB is perpendicular to PQ, OC is perpendicular to QR, OB = OC = r, Hence OBQC is a square of side r. OQ is the diagonal = √2r = R = radius of outer circle. 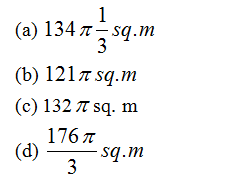 Question 4: What is the number of distinct triangles with integral valued sides and perimeter as 14? Then if one side is 2, only combination satisfied is (6,6). (4,4,6), (5,5,4), (6,5,3) and (6,6,2). 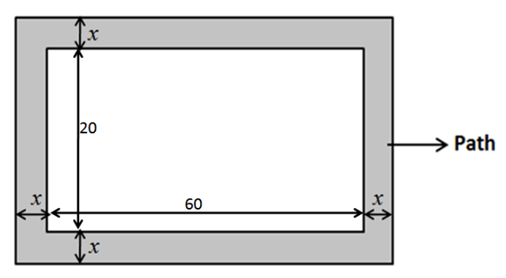 Question 5: A rectangular pool 20 meter wide and 60 meter long is surrounded by a walkway of uniform width. If the total area of the walkway is 516 square meter, how wide, in meter, is the walkway? Let the width of the path be x meters. 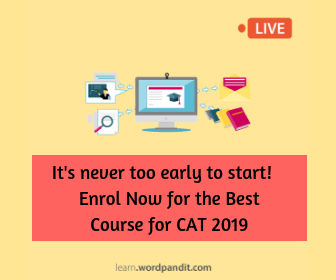 In order to solve CAT Mensuration Questions and Answers successfully, nurush up the concepts of concentric circles and rectangles, concepts of circle such as: arcs, sectors, etc. 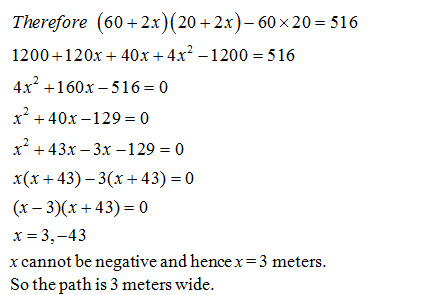 Ideally, you should start the solution by first analyzing the question and dividing it into sub parts. Visualize how the various shapes are interconnected and which parameters are to be found. 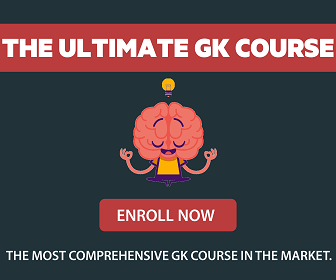 List the given parameters and unknown ones and map them to the respective shapes and formulas. Check the diagram drawn and whether it satisfies all the given conditions. Only then proceed further with the calculations. Remember! If you don’t get the diagram right, you will end up with the wrong answer.